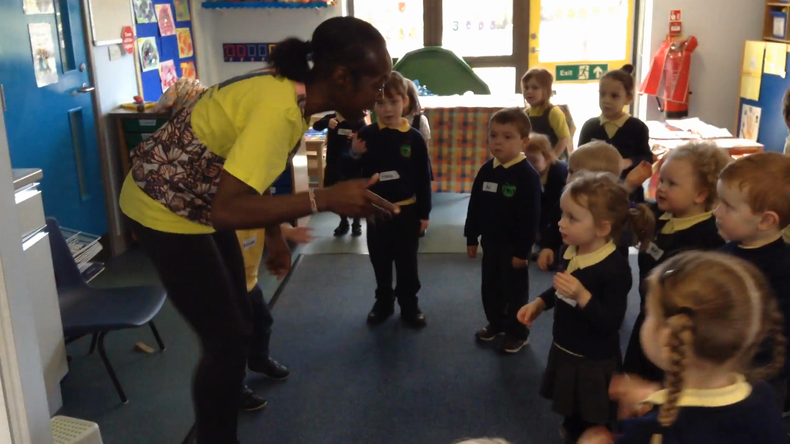 The children had an exciting time today,with Bemma Akyeampong from African Ark, singing, dancing, creating individual art work and learning about African culture. The session focussed on identities and our place as individuals in a community. Bemma, who is from Ghana, spoke to the children about her country and its culture and traditions. She dressed some of the children in traditional African clothing and taught them some dances that are danced in Ghana and special songs in an African language. We danced a rain dance and the dance of The Chief and an animal dance too. 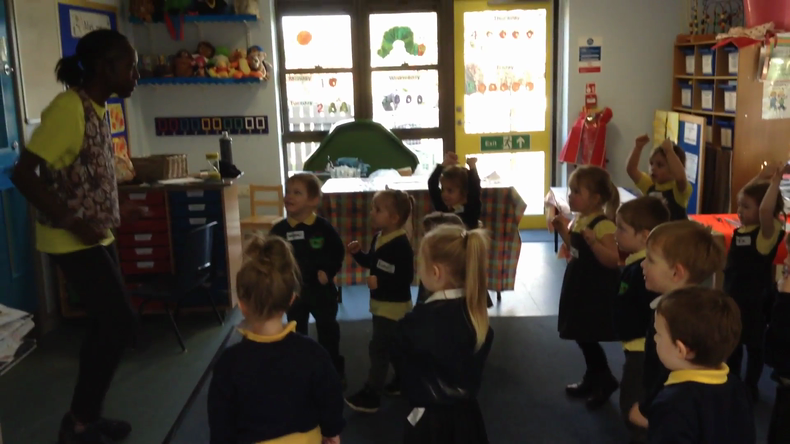 We celebrated the children's own dancing and talked about which parts they enjoyed the most. Lots of our children were able to make links between their own experiences and Bemma's culture. 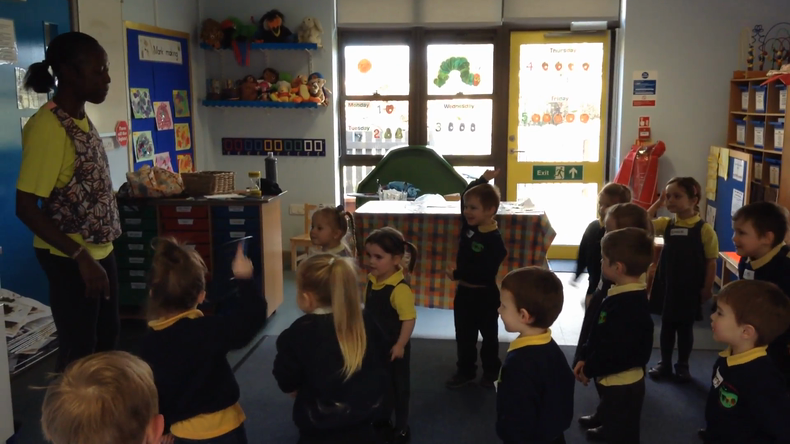 Some children sang our traditional 'Rain, Rain Go Away' song to Bemma when we did the rain dance and song and we talked about the fact that in England we sometimes sing for the rain to leave where as in Africa they sing and dance for the rain to come. The children also made links between the clothes that they were dressing up in and some of the clothes that we have worn in nursery. Lastly we made some African art work, a large printing and smaller, individual mud cloth pictures. Everyone contributed so that we produced a large piece of joint artwork to represent our nursery. 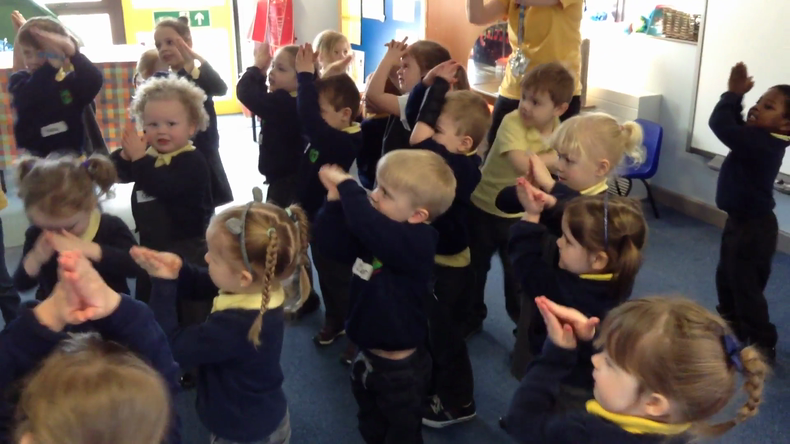 We really enjoyed our sessions with Bemma and are hoping to repeat some of the songs and dances in nursery. It was a fantastic experience for all our children which helped them to learn about African culture and also think about their own culture and traditions too. Experiences like today also help our children to understand and appreciate the similarities and differences between people in the world, reinforcing that we are all individual and very special. It also helps them to understand their place in the global community.